The first rose to bloom after an unusually harsh winter was ‘Alexander Mackenzie,’ one of the Canadian explorer series of roses. It thrives in Zone 3 and colder. My Zone 5 roses all died. My car thermometer registered 33 degrees below zero as I crossed the bridge over Post Creek one morning last winter. When the trees and shrubs began coming out of dormancy this spring, I wasn’t surprised that most of the Zone 5 roses I had planted over the past few years were dead. Not long ago I never planted roses that weren’t at least Zone 4 hardy, because though they might survive a mild winter or two or three, I continued to know that a February that would kill them lay in the not distant future. I stopped by Caras Nursery in Missoula to see what they had for replacements, and I was surprised that they had almost no roses—they’d sold out. They assured me plenty were on the way. Lots of us had been caught pretending. Northern gardeners face the constant temptation to try some of the gorgeous plants that thrive just a few hundred miles south, or a couple of thousand feet lower in the mountains. 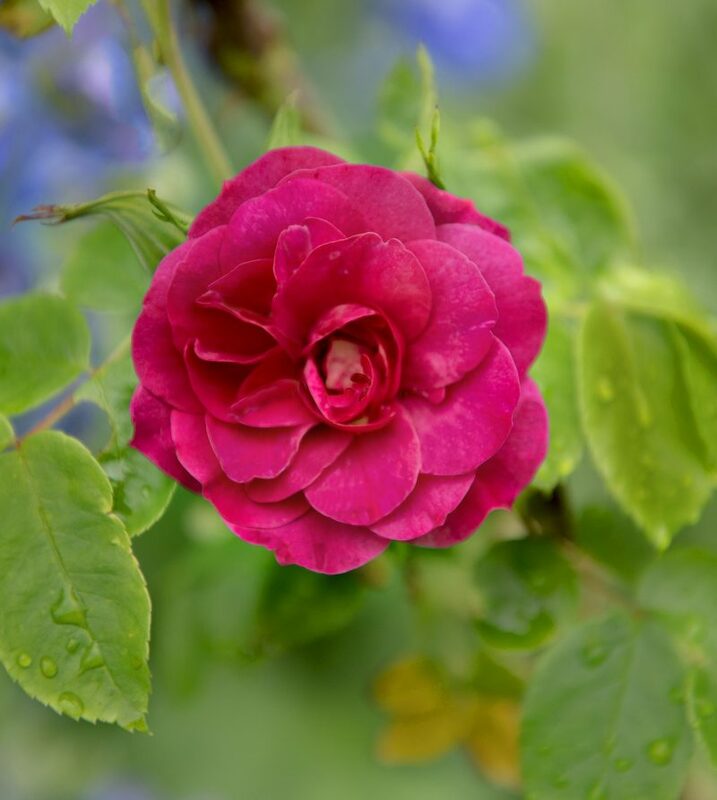 There are many more Zone 5 roses for sale in nurseries here than other roses, because there are so many more stunningly beautiful roses that thrive in more moderate climates, and dreams drive lots of garden purchases. Besides, the authorities tell us the earth is getting warmer. According to many maps, I do now live in Zone 5. But still, 33 below. Gardening well depends on, and so teaches, metaphysical realism. So do all disciplines that thrive or fail based on occurrences outside our minds. This is good, because humans flourish by conforming themselves to reality. Much of the brilliance of the Jewish faith is found in the unification of wisdom and righteousness. The Bible is mainly history because it is in seeing clearly what happens that we see things as they are and thus are more able to follow our telos, our purpose, which is to live well. It is true that we need to see with more than our eyes. Gravity is invisible, though we can see its effect and figure out the rules it imposes on reality. Things fall down is one of the rules of life—also invisible, but discernible to the intellect. The Bible is not first of all a book of moral truth. I would call it instead a book of truth about the way life is. Those strange old scriptures present life as having been ordered in a certain way, with certain laws as inextricably built into it as the law of gravity is built into the physical universe. When Jesus says that whoever would save his life will lose it and whoever loses his life will save it, surely he is not making a statement about how, morally speaking, life ought to be. Rather, he is making a statement about how life is. Wisdom, says Plantinga, is a reality-based phenomenon. “The wise accommodate themselves to reality. They go with the flow. They tear along the perforated line. They attempt their harvests in season.” We learn to see the invisible world by recognizing patterns which serve as the rules of life. Treat roses that can’t survive 20 or 30 below as annuals, if you garden in the mountains of Montana. Not enough water falls out of the sky in July and August to keep most plants alive, so figure out how to store water and irrigate. Most plants do better with more sunshine. Never plant violas unless you want them everywhere. Our main trouble with living well today may be the reality that our institutions have become so vast and so corrupted—by which I mean they no longer serve the telos for which they were created—that they have swapped “success” as they define it for a more primal “living well” which is what we want. It can be hard to notice the swindle, living as we do amid a noisy kaleidoscope simulacrum we have fashioned between us and reality. People who work mainly inside institutions (where a lot that happens or doesn’t happen is due less to the forces of nature and more to the wills and intrigues of other people) can get quite far with imagining that they control reality through their decisions far more than they do. I work in both education and medicine, and both have become targets of those who confuse monitoring and control with improvement (because they have begun to dream that announcing rules and issuing protocols is the way forward). They are easily fooled because they are proud, noticing what touches their advancement more than what supports human flourishing. We are cursed by careerists, focused on making their names, letting weeds go to seed everywhere. Gardens, in this age of ideology, are more likely to be regulated into irrelevance than improved, because they increase the gardener’s self-sufficiency, which is not the direction that excites the masters’ passion. Since gardens are at least implicated in discussions about both water and carbon, there will be ample occasions to organize them into the great tower that is being built. But today, standing in the gardens, the peonies along the path a bounty of visual and olfactory delight, the finches and chickadees acrobatically alive amid the apple branches, the cumulus piling up overhead in a vastness of the blue beyond that goes forever, one can summon a proper regard for the state. It is merely creature, as dependent as the snail sliming along the path is upon its ability to fit itself into things as they are. I suppose it’s possible that one could be a good gardener and a bad man, but I suspect that would be an unstable situation, unlikely to continue forever. Thank you so much for this. Since I’m moving back to Montana, I know I’ll have to change my choice in roses. I just researched the roses that are available in zones 3-4 and many of my favorites are in Zone 5. I’m wondering if I plant them next to the house in a bed that can be covered if that would help.